and creating new products where there is an unfulfilled need. ReBuilder Medical’s research and development (R&D) team consulted with our CEO and inventor of the ReBuilder, Dr. David B. Phillips. After 3 months of theory, mathematical concept algorithms, graphic simulations, and practical treatment models, they developed a working model; something we could actually put into testing and development. After a few more weeks of testing in the real world, and a couple of design improvements, we are proud and excited to release a new joint pain system to be used with the ReBuilder, that will change the way you look at treating knee (or any joint) pain. Introducing the first of its kind, patent pending, annular electrode system which makes use of atomic spin principles for rotating axial plane delivery of the ReBuilder signal, directly focused into the joint. These new adjustable electrodes are manufactured with a hydrophilic lining, impregnated with elemental silver, and a custom silver-woven outer layer. When used with conductivity enhancer, this osmotic elemental silver lining ensures that the electrodes remain moist throughout the treatment cycle (up to 30 minutes) and slowly replaces the silver strand infusion that may erode over time by washing. The inclusion of silver in this new accessory improves the conductivity substantially. Our Joint straps are made to compliment the ReBuilder so the specific 7.83HZ waveform is not compromised. To apply the device, one strap electrode is positioned 2-3” above the patella and the other electrode 2-3” below the patella. When positioned properly, the embroidered “ReBuilder” name will appear right side up on one, and upside down on the other. This is a game changing new way to introduce atomic spin to the healing process. The essence of this new technology is that the first 3-6 inches of the signal quickly moves down the strap without any resistance from contact with the patient’s skin. Then, as it migrates along the strap in contact with the patient’s skin, its speed of conduction is slowed down by skin resistance. Meanwhile, the other strap is doing the same thing, but 180 degrees out of phase. These healing ReBuilder impulses act similarly to an interferential system, crisscrossing at the center point of the joint between the paired annular electrodes. Because of the forced directional nature of the design, the impulses of the two straps move around in identical but oppositely rotating cones. 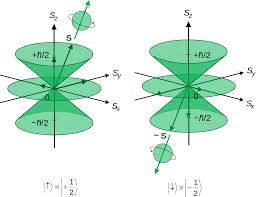 The bulk of the energy is focused in a circular two-dimensional plane centered between the electrodes. Thus all the soft tissue is treated, first the more electrically conductive nerves, and secondly, the less conductive soft tissue. Because the initial portion of the ReBuilder signal is not in intimate contact with the skin, its interaction with the similar sister electrode creates a Pulsed Electromagnetic Field (PEMF) with all the benefits of that technology. One benefit is its ability to cause the bones to vibrate. This vibration stimulates the bones piezoelectric property to generate its own, internally generated electrical signal that the brain senses, which has classically been used for healing non-fused bones, but can also be used to release endorphins. These endorphins can mitigate the local joint pain while simultaneously improving the patient’s mood. The ReBuilder’s signal will also stimulate visually obvious muscle contractions in both the calf and the thigh, effectively improving circulation through the use of the venous muscle pump system. This muscle pump action will also reduce edema. 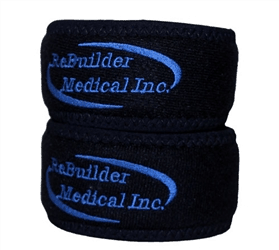 This accessory is specifically designed to work with ReBuilder technology, and it’s patient-specific, automatically variable waveforms created through its biofeedback circuitry. The annular electrodes can be used in conjunction with common adjunctive therapies including laser, LED, decompression tables and so on. Since the ReBuilder itself incorporates both nerve and muscle stimulus into its signal, there is no need, nor is it recommended, to use any other forms of TENS or EMS in addition to ReBuilder stimulation. 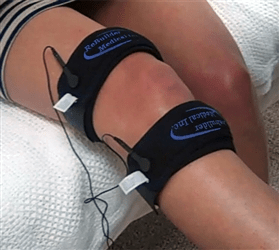 Treatment involves 15 minutes of stimulation on the joint, followed by 15 minutes of regular ReBuilder foot-to-foot treatment to re-educate the nerves, since temporary collateral paths may have been established while the knee was traumatized. Quick, easy, painless; and most importantly, the patient feels good when finished. Since their release in September of last year we are continuing to receive positive reviews daily. Patients are reporting excellent pain relief, reduction of swelling, and improved range of motion; translating directly to improved balance and gate, and therefore increased mobility. NOW AVAILABLE: in different size lengths. We are pleased to offer these conductive annular electrodes in several size formats: 18″, 24″, 32″ and 50″. The small (18″) size is more suitable for wrists, ankles and elbows. The medium (24″) size continues to be the standard for knee pain, while the large (32″) size accommodates those with a larger thigh. The extra-large (50″) size is designed to be used around the waist and when paired with the 32″ on the upper thigh, can be used to relieve hip pain. The annular electrodes are sold in an elbow kit (2×18″) or a knee kit (2×24″). They may also be purchased individually, if you need to mix sizes. Remember, 2 are required for treatment. They can be found in our secure, online shopping cart for purchase.